My cat, Charcoal, often joins me in the kitchen when I am tidying up after dinner. Sometimes he sits on the dishwasher door as I’m loading the dishes, looking up at me, affectionately, licking his chops in his subliminal way to suggest that I should pour him a spot of milk. Sometimes I give in; even cats appreciate the simple pleasures. Last night, while I was doing the dishes, I was aware that Charcoal had come into the kitchen, but I was so busy working that I hadn’t noticed whether he had planted himself somewhere or had left. At some point I thought about my friend, so I turned around there he was, perched atop the refrigerator, towering from above, leaning forward and staring at me with his intense green-eyed gaze. And the thought came to me that Charcoal, as any of us, was enjoying the simple pleasure of watching someone engaged in activity. It is visually and mentally stimulating to watch people or animals engaged in activity, and it can be physically relaxing as well. The sensory input we receive while engaged in observation can influence brainwave activity and induce relaxation. For example, it has been widely known that watching aquarium fish can have this effect. 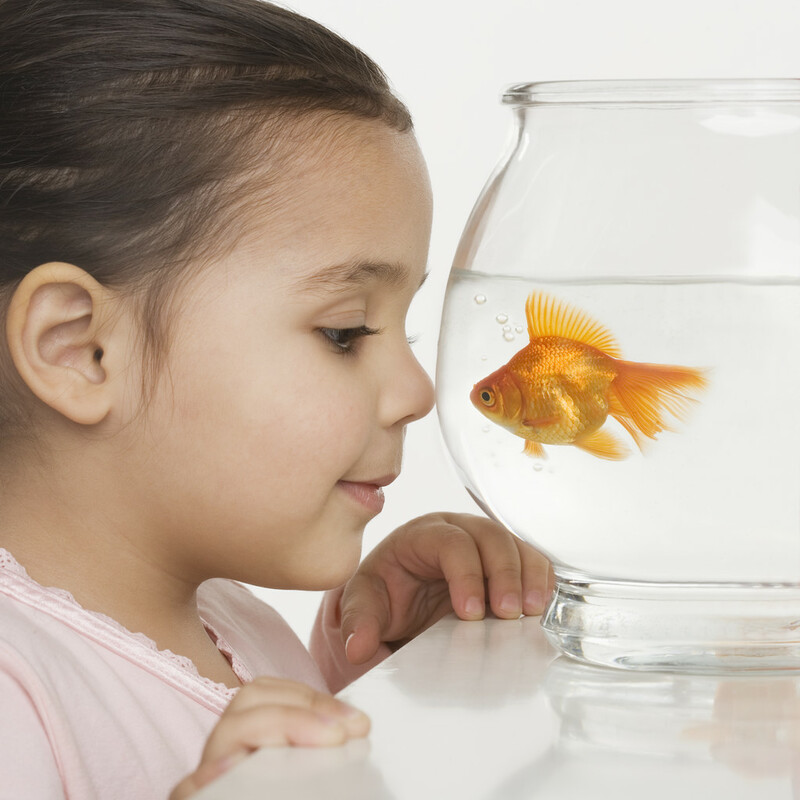 By observing the tranquil movement of the fish, you may be able to lower your blood pressure and reduce stress. The same may be true for bird watching. Another idea to try is people watching. Without being obtrusive, observe people engaged in everyday activities. Taking notice of their appearance, movements, and interactions may fascinate and serve to inform you, in addition to reducing tension. If you can remain detached from the outcome of a match or game, watching a sporting event may produce the same results. If you would like some quick ideas for reducing or relieving stress through sensory input, you might like to visit this web page: Quick Stress Relief. It comes from HelpGuide.org, and offers some easy tips to try. I always think Charcoal enjoys watching us work. 😀 Also, he is very aware of how adorable he looks, and how to get his milk–this cat knows what he’s doing! Doesn’t he, though? I think that’s what I love about him! Cats are wonderful companions. We had dogs for many years and love them still but with our health a cat is now the best choice. our Sylvia Joy is a mess and we love her little tuxedo self dearly. Before we had pets, I thought I would be a dog-person. But having had a dog and two cats, I have come to realize that I am a cat-person. Our two cats have very different personalities, yet they make great companions to each other. 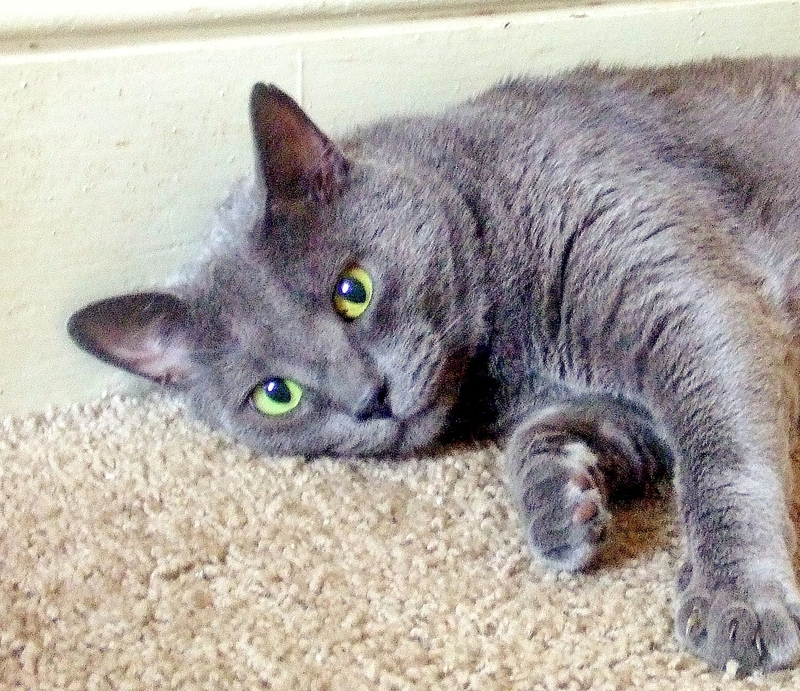 Charcoal makes lots of eye contact and loves very direct human contact. Mango comes to us when he wants interaction, but he doesn’t seem to need it in the same way. I have learned so much from observing and interacting with our cats. You are absolutely right – they do make wonderful companions!